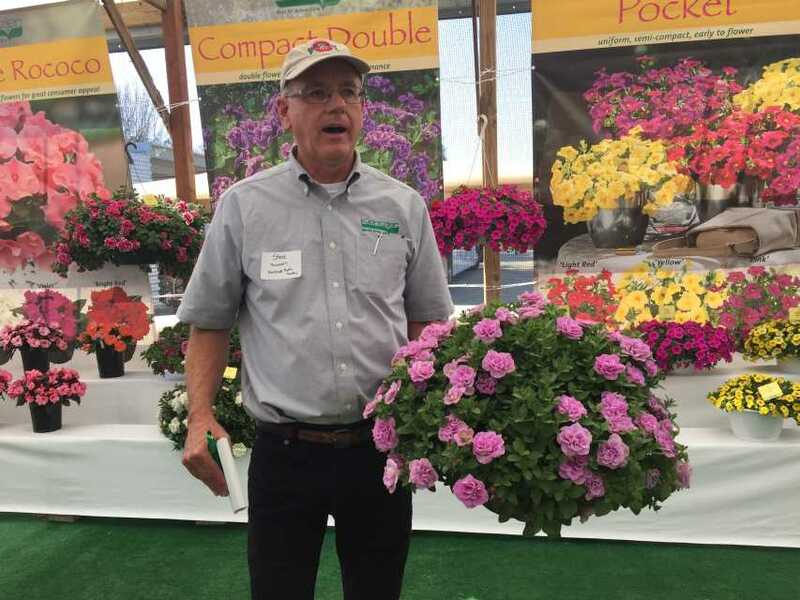 It’s always a toss-up whether the plants or the people are the best thing about California Spring Trials 2019. 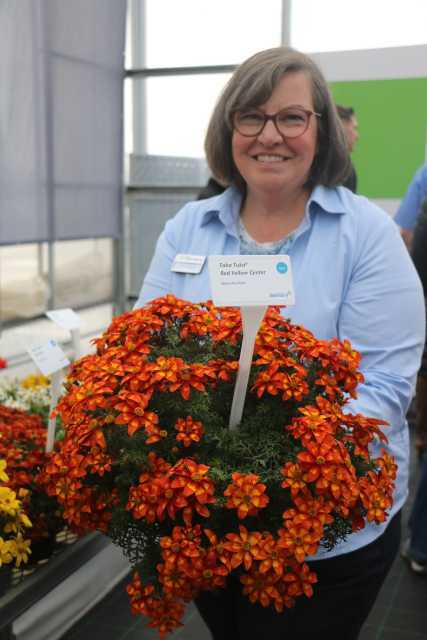 One thing is for certain, spring trials week is a great time to catch-up with old friends and make new ones. 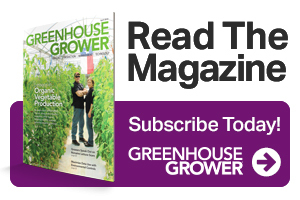 Here’s a few of the fun people Greenhouse Grower team of Editor Janeen Wright, Contributing Editor Allan Armitage, and Custom Content Editor Robin Siktberg met along the California coast. 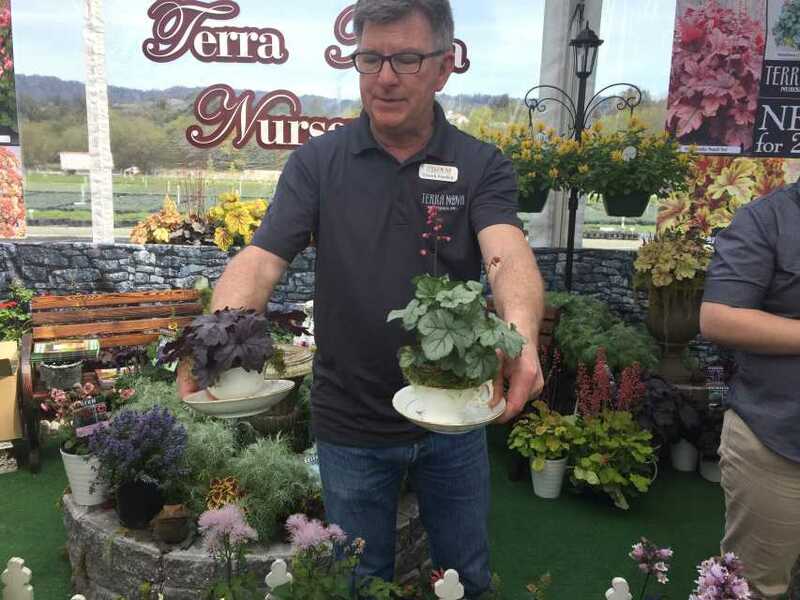 Chuck Pavlich of Terra Nova Nurseries showing off some Little Cuties heuchera. 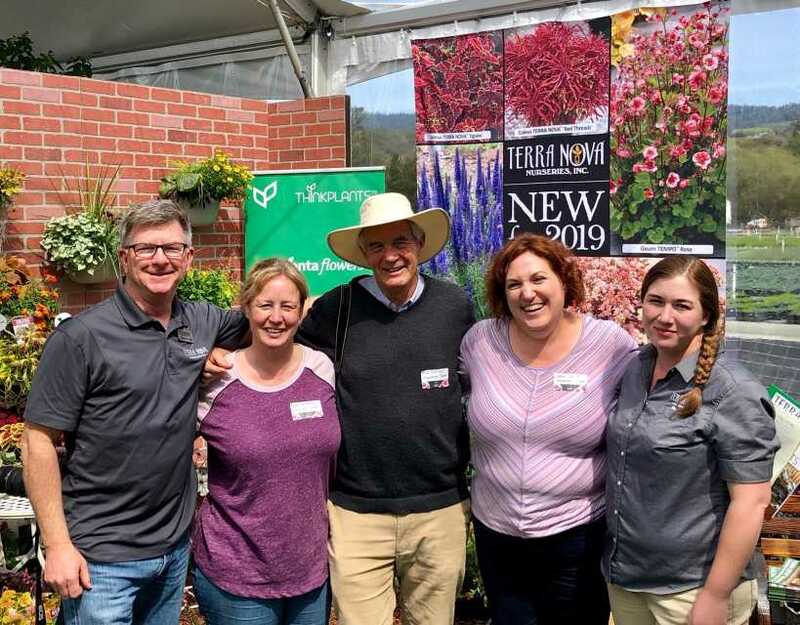 It’s also a fun time hanging out with the team at J. Berry Nursery. 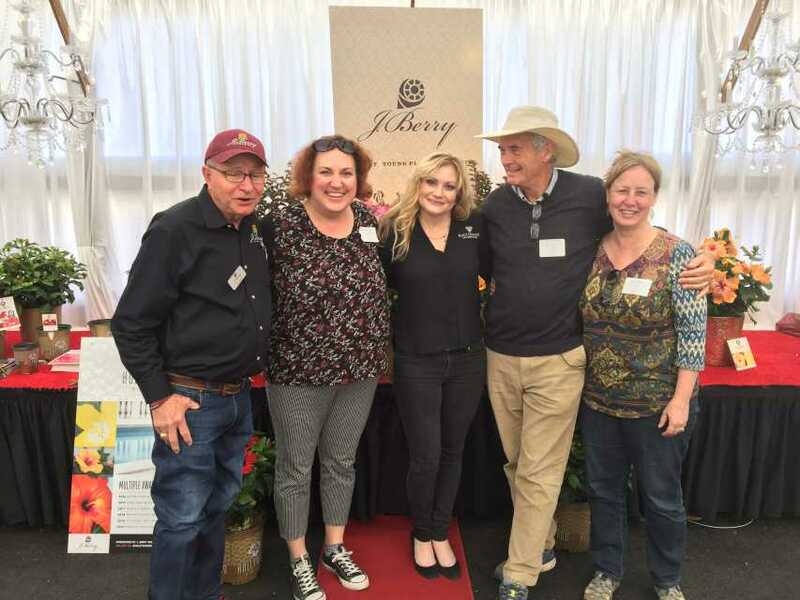 Left to right: Jim Berry, Janeen Wright, Tamara Risken, Allan Armitage, Robin Siktberg. 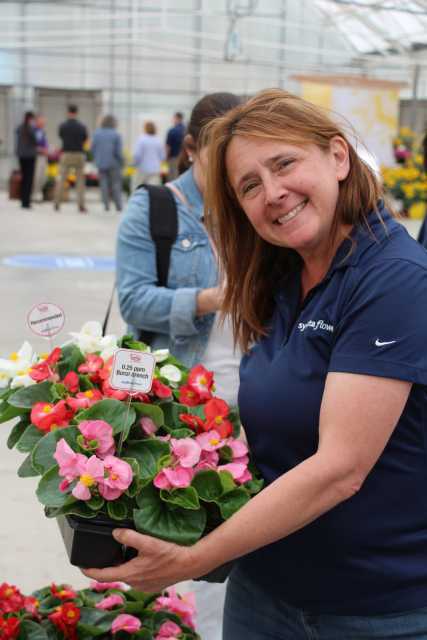 Amy Gard’ner discussing Blockbuster Catharanthus (Vinca), one of the new products Syngenta Flowers is offering after its acquisition of Floranova. 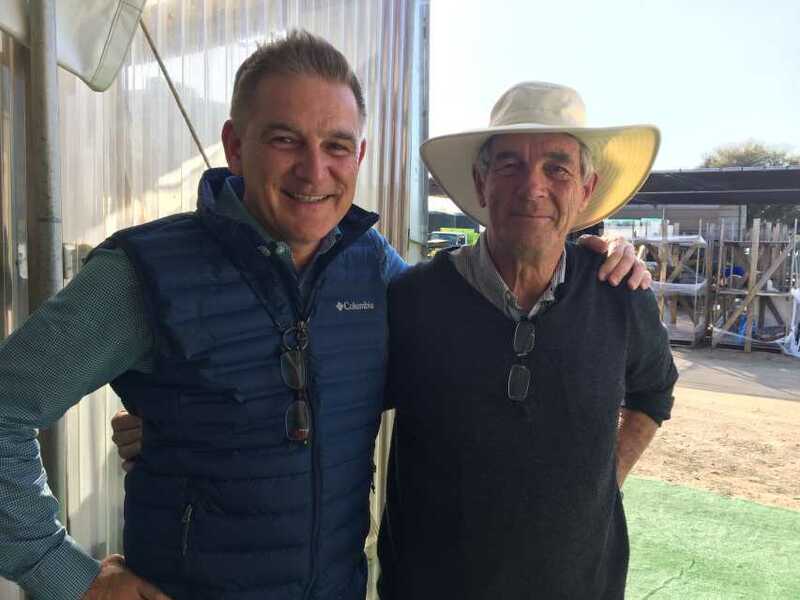 Marc Englert (left) and Allan Armitage (right) hanging out at the Windmill Nursery stop in Buellton, CA. 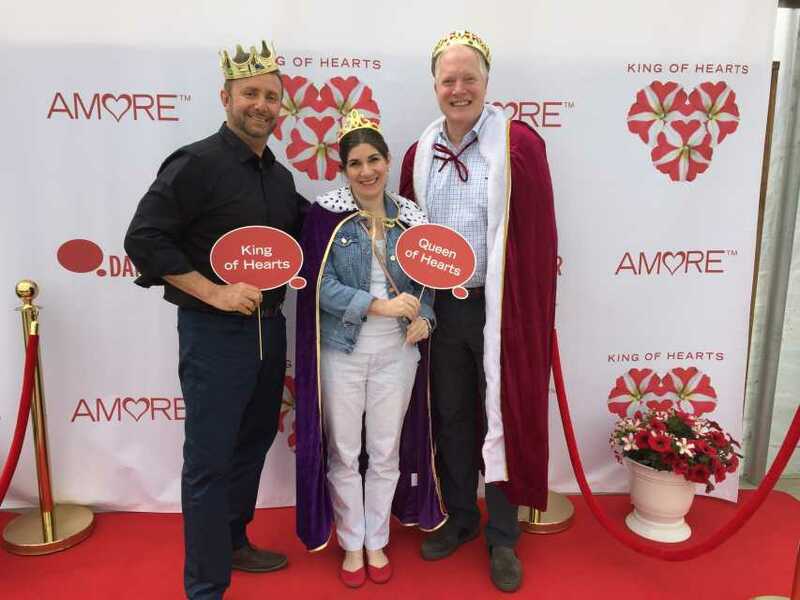 The Greenhouse Grower (GG) sales team of Jorge Abrego (left, Meister Custom), Karen Gerome (middle, GG Publisher), and Gregg Langermeier (GG Sales) play kings and queen for a day at Danziger. 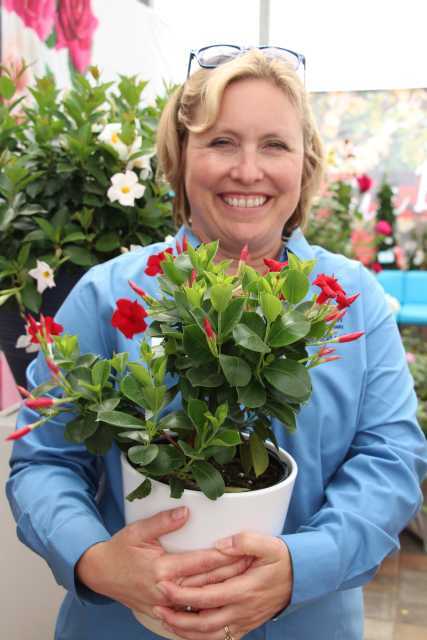 Delilah Onofrey (former Greenhouse Grower Editor) of Suntory Flowers shows off Suntory’s new ‘SunParasol Mitebuster Red’ Mandevilla. 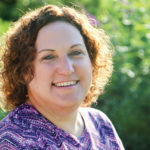 Florence Vaux of Ch. 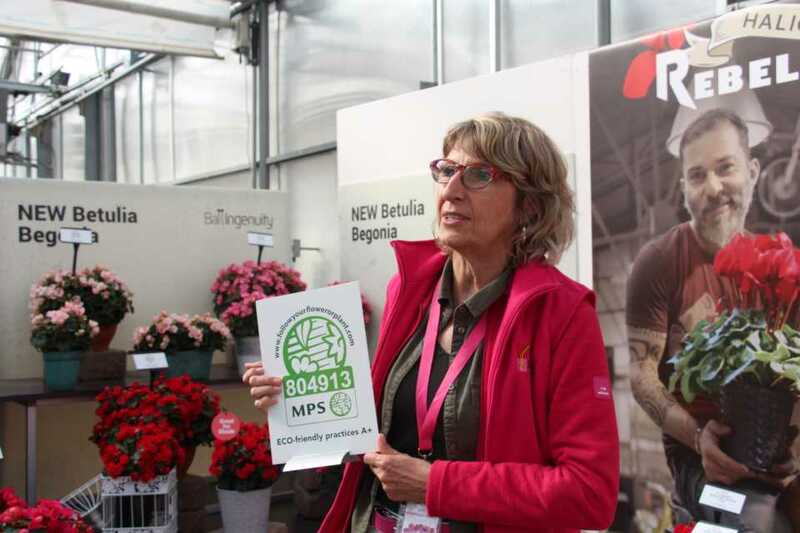 Morel proudly displays the company’s recent MPS certification. 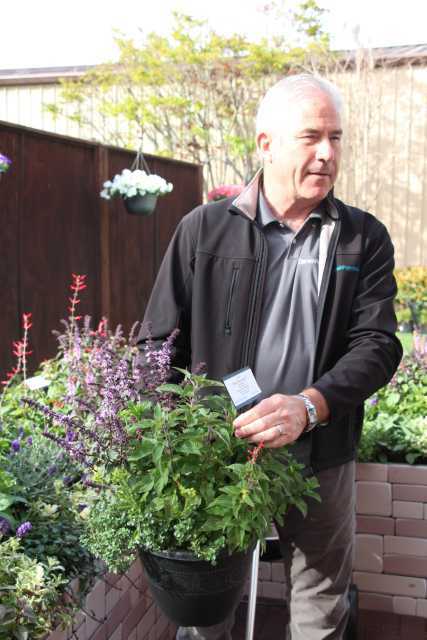 Karl Batschke of Darwin Perennials talks about the Herb-A-Licious Combos. 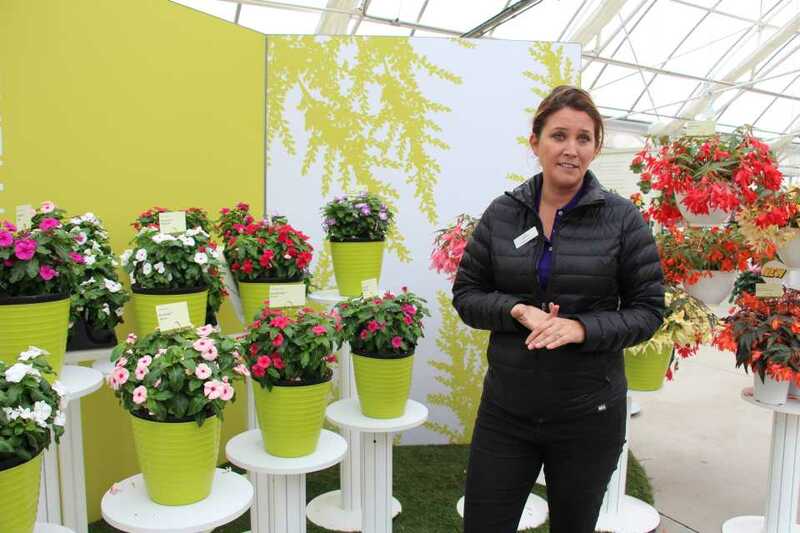 Greenhouse Grower Publisher Karen Gerome dressed for the occasion at Dümmen Orange’s big reveal of its New Guinea Impatiens ‘Roller Coaster Hot Pink.’ The rest of the Greenhouse Grower team didn’t get the memo. 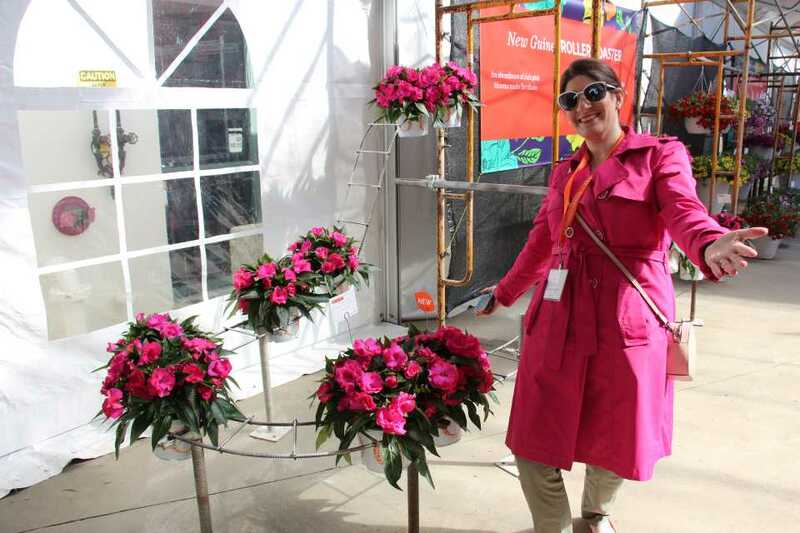 Melanie Fernandes of Syngenta Flowers still has a smile on her face after setting up the Syngenta display. Pictured: Tophat Begonias.